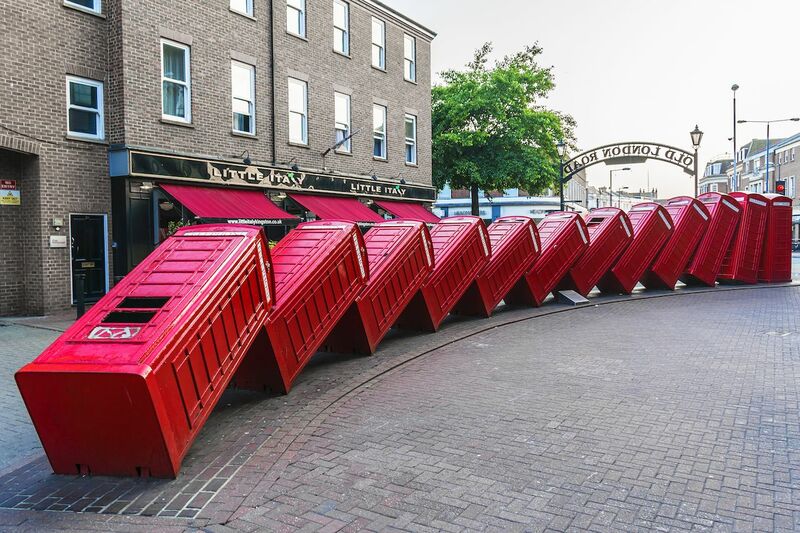 Great Britain red telephone boxes They are not a working lifeline today, but since their inception in the 1920s, they have been an icon of the country and evoke a lot of nostalgia. Those who yearn for the days when there was one on every street corner, dear artists David MachSculpture from 1989 titled "Out of Order", 12 of which are playfully used. The big red cabins seem to collide like a row of domino plates. On the occasion of its 30th anniversary, the popular building was closed to the public during the refurbishment and is now back to its original state – so ready for Instagram as never before. 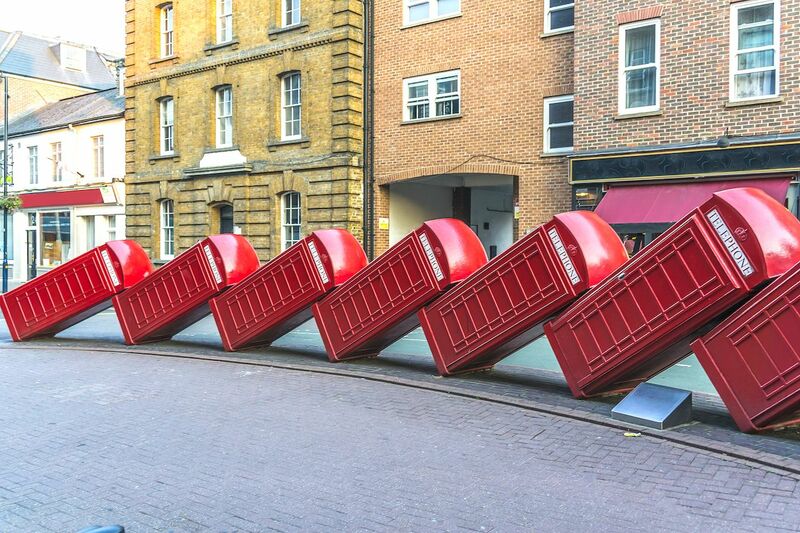 The installation is located on Old London Road in the southwestern suburbs of Kingston upon Thames. The artist David Mach seems to be satisfied with the makeover. "I am very happy that Out of Order has been renovated." said, "It's one of my best outdoor sculptures. I love these boxes and it is not funny that even in these times, even though they have been removed from the British countryside, I feel they are binding us as a nation. "